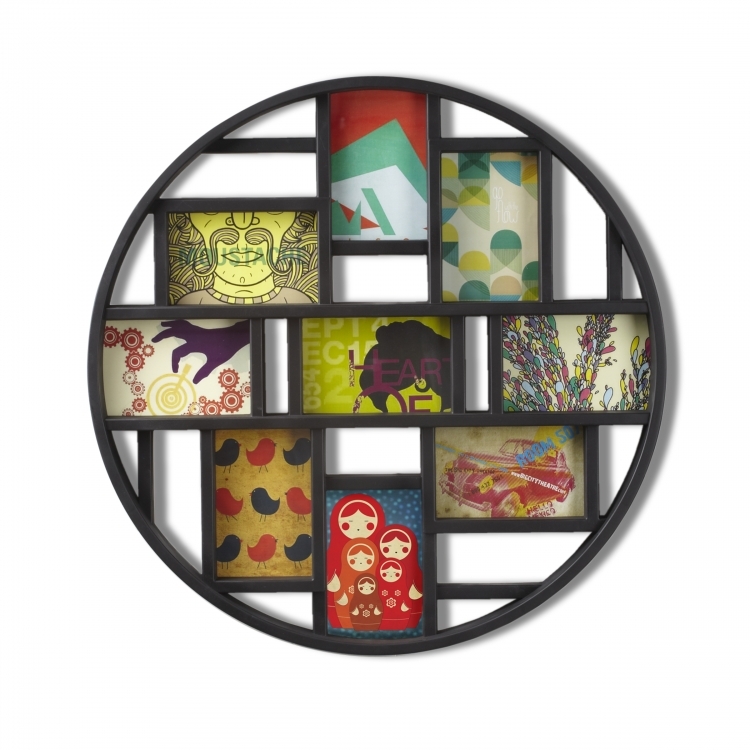 Create an eye-catching photo or art display with the Luna multi-opening collage frame by Umbra. 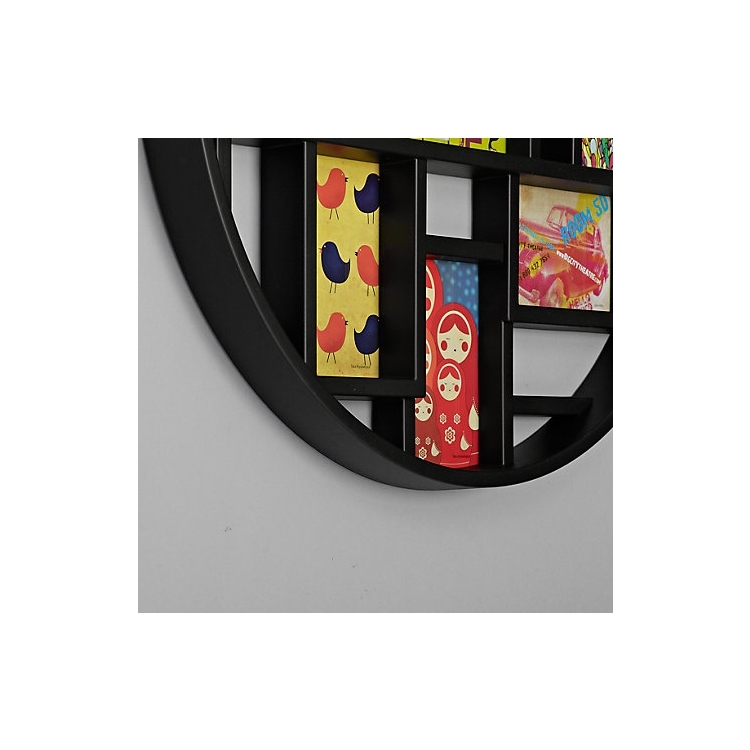 Constructed of white molded material with a deep profile and substantial presence, Luna holds nine of your favorite photos, prints, or small artworks. 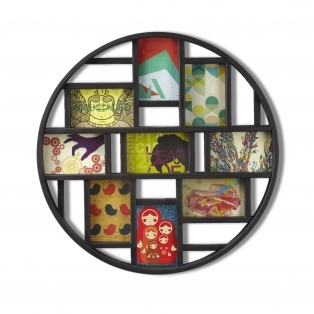 For instant, effortless wall decor, display Luna as sold here with the included decorative face-papers, designed by local independent artists.Designed by Tom Vincent for Umbra- original, modern, casual, functional and affordable design for the home.